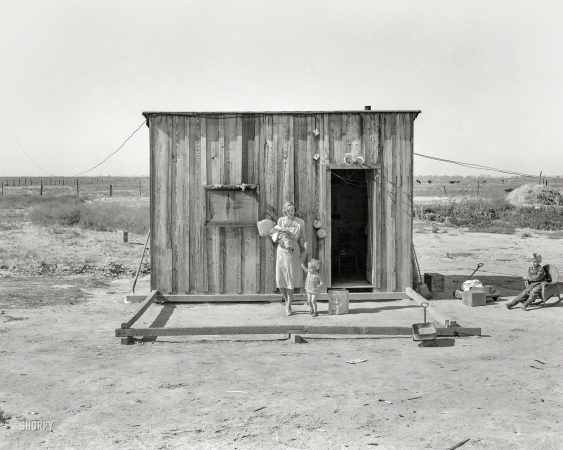 Medium format negative by Dorothea Lange. November 1938. "Home of rural rehabilitation client, Tulare County, California."